We are excited to announce that our expansion project is almost complete. We have been blessed with excellent volunteers who have worked tirelessly to complete the new worship space in such a short amount of time, and generous financial support of our membership and visitors. It is amazing to see God’s handiwork in bringing all of the pieces together. We celebrated our very first worship service in the new sanctuary Sunday, March 24 at 10:00 am. It was an exciting time for Oasis Church, for we had many new visitors join us. God is good! With the completion of our new space are dedicating our old space to our Children’s Ministry, where we will be able to accommodate infants to youth. We are diligently seeking someone with a passion and desire to minister to the children and families who will be reached through the expansion of our facility to serve as our Children’s Ministry Leader. Please continue to pray that God will lead us to this individual. Although our project is complete, you can still help to financially defray the cost through you generous donation. Just click on the DONATE button below. If you wish to make a contribution designated to the Building Fund click on the donate button below. We’re making progress. We have obtained the required Fire Safety Plan and building permit. Construction began in earnest this week with the building of dividing walls and stage back drop. The electrician should be out soon to install the electrical plan. Thanks to all who have helped so far. Things are picking up. The insulation has been installed, plumbing roughed in, drywall hung and general cleaning. Cabinets are being ordered and painting begins soon. Drywall mudding done, electrical installed and clean up. Painting started in earnest today with the ceiling. The majority of the work is complete (painting, plumbing, electrical, cabinetry all done). HVAC ductwork going in Mar 11 and audio/visual equipment is going in soon. Now working on the finishing touches (acoustic paneling, sound booth, flooring). Thank you to Scott Stine for tirelessly managing our expansion project. The HVAC ductwork is being installed today! The sound booth and stage lighting are installed, all the painting of walls and floors are complete and we have met all the fire and building code requirements. The only major thing left is the acoustic panels on the windows. We are one week away from our first service in the new worship center. The HVAC is fully installed, the stage is done with monitors in place and the reception area is just about set up. This week the acoustic panels and audio/visual equipment will be installed and the chairs put in place. We are also getting our final inspection some time this week. 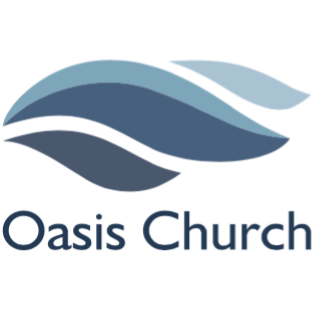 It’s an exciting time in the life of Oasis Church. We celebrated our very first worship service in the new Worship Center Sunday, March 24 at 10:00 am. It was such an exciting time in the life of Oasis Church. So many people heard about Oasis through this project and came to celebrate with us. God has truly blessed our ministry. To Him be the glory!